Bridgeport Police Chief Armando Perez has finally turned over evidence in an ongoing racism investigation. 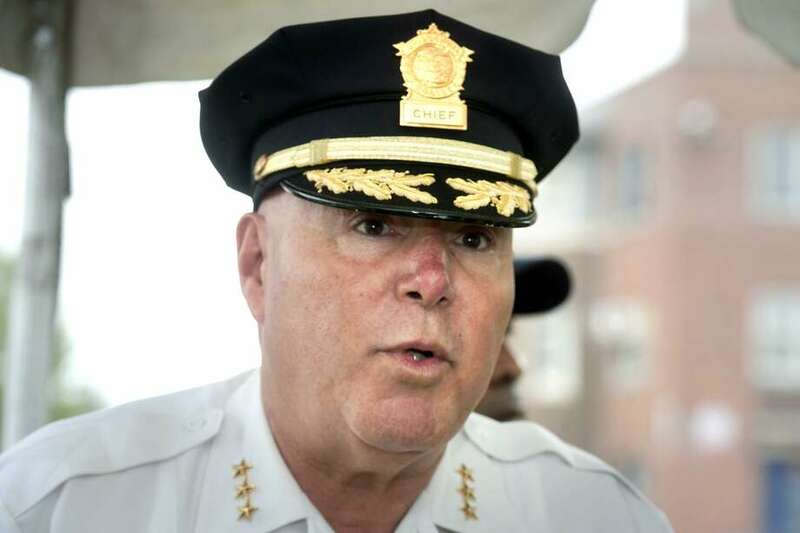 BRIDGEPORT — A day after Hearst Connecticut Media reported that Bridgeport State’s Attorney John Smriga delayed his hate-crime investigation of retired police Capt. Mark Straubel because police had not turned over evidence, it was supplied. “I have discussed the matter with the chief (Armando Perez) and he is in the process of providing me with the material I requested,” Smriga said on Wednesday. He declined further comment. On Tuesday, Smriga said he requested the information from Perez two weeks ago. Perez said Tuesday that he was also frustrated that Smriga did not have the information. Perez said the Straubel case file was being reviewed by Bridgeport’s City Attorney and he hoped it would be in Smriga’s hands this week. In June, a Stratford police officer who had retired from the Bridgeport Police Department filed a complaint with the Office of Internal Affairs after intercepting texts written by Straubel to a third person. In those texts, obtained by Hearst, Straubel made racial slurs against an African-American police captain and advocated starting a race war. The Bridgeport and state chapters of the NAACP urged the State’s Attorney’s Office to investigae whether hate-crime charges would be warranted in the case. City Attorney R. Christopher Meyer told Hearst his office recommended full compliance with the state’s attorney. Straubel, who was the chief’s aide, retired Aug. 13 while being investigated by the Internal Affairs.